Cryptocurrencies have gained immense interest off late and are running the finance spin-wheel of the world at an extremely fast pace. Across territories of the world, Governments are exploring the space and trying to set the law in stone. However, Government’s opinions vary from territory to territory because it isn’t a openly explored space yet. Blockchains’ solution implementations and Cryptocurrencies are also gaining the attention of the tax man and the legal regulators around the world. Effort are being made by countries to understand and put in place regulatory frameworks in this matter, though currently mostly it remains unregulated. While, on the other hand, the crypto enthusiasts continue to explore international opportunities to raise ICOs, Launch Crypto Exchanges and enter into international trade and arbitrage of cryptocurrencies. Cost of setting up corporate entities. A country located in northern Europe, is often referred to as the “Baltic Tiger” because of its rapid growth. The country is nicknamed E-stonia as it is almost completely wired. Blockchains have made rapid strides here. Planning an official token of its own, Estonia is on the verge of making a big move by becoming the first nation to offer a government backed token proposed to be named as “EstCoin”. Kaspar Korjus managing director of Estonia’s e-residency program made clear distinction and stated their proposed “EstCoin” as “token”and not “currency”as that will violate the Country’s agreement to use “Euro” as its official currency. Estonia’s official conduct about cryptos makes it a haven for entrepreneurs looking to launch Initial Coin Offerings (ICOs), Korjus believes Estonia can be a Cherry on the top of the Blockchain cake by providing regulatory framework to wipe off the ambiguity pertaining to ICO’s in other Jurisdictions. Additionally the option to become e-resident opens avenues of floating corporate entities without the need for visiting the country, thereby ranking it first in the list as a pro-crypto nation. Being one of the most competitive economies consistently over the past decade. It serves as a business hub for South East Asia and as one of the world’s most important ports. “There are two main uses of cryptocurrencies today. The first is as a means of payment. The second, which has become far more prominent, is where cryptocurrencies are assets in their own right”, the Deputy Prime Minister educated lawmakers. “In both these uses, the underlying technologies, in the form of blockchains or distributed ledgers, may prove to have potentially useful applications in facilitating payments and trade settlements,” he said. Singapore is all set to embrace Cryptocurrencies and related applications that shall fall in place with times to come. 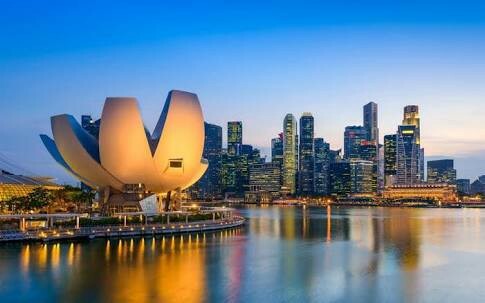 Given the business dynamisms and the open offers to embrace technologies, as experienced in past, Singapore shall surely rank amongst the top 5 in Crypto space in near future. Cayman Islands is a British protectorate in the western Caribbean Sea. Though it is a British territory, it has its own government, and a very stable one at that. The existing legal framework in the Cayman Islands provides the flexibility to allow technologies like Blockchain to flourish. Moreover, Cayman Enterprise City, a technology-focused Special Economic Zone, has already become home to numerous companies developing FinTech, blockchain and crypto technology. Although the Law around cryptocurrencies is ambiguous or it’s probably somewhere in the middle, as one of the larger offshore financial centres, Cayman simply cannot afford to ignore it. The funds industry here, as a whole, is keen for Cayman to take advantage of opportunities as they arise. Surely a country to explore for the crypto enthusiasts! Many countries are struggling to become “Europe’s Silicon Valley” and Slovenia seems to earn it sometime soon. 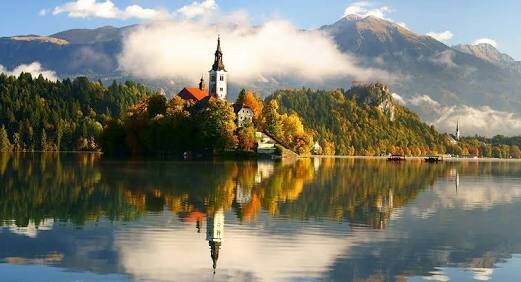 Slovenia is a nation located in southern Central Europe. As for blockchains and cryptos, it is mentioned in the Development Strategy for the Information Society until 2020. This paper, called Digital Slovenia 2020, announces the establishment of the Blockchain Slovenia initiative and invites all interested participants of the community to join it. The government’s loyal attitude, the interest of the society, and favorable legislation are the seeds that gave birth to a great variety of blockchain companies in Slovenia. Some of them are well-known throughout the world today. The current government in Ljubljana has a positive attitude towards the crypto industry. Speaking at the Digital Slovenia 2020 conference last year Prime Minister Cerar acknowledged the progress made by local businesses and said his country could become a leader in blockchain-development in the European Union. Slovenia is also among countries that do not tax individuals on capital gains from bitcoin and other cryptocurrencies! In the heart of Switzerland’s Crypto Valley — is Zug. This is the place where Ethereum was born. And this is the place where blockchain and crypto are king. Numerous leading blockchain startups are housed there, including the Ethereum Foundation, ShapeShift and Xapo to name a few. The CIA World Factbook states that Switzerland has zero international issues or disputes. 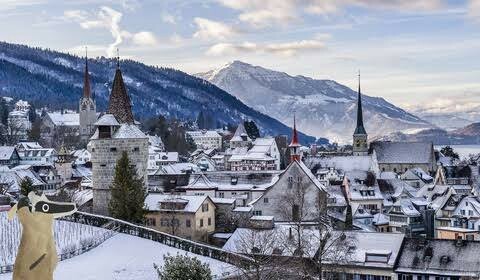 Switzerland, or Zug to be particular can be concluded as the most safe place to gain global traction in cryptographic, blockchain and other distributed ledger technologies can emerge in supportive and vibrant business environment. The countries mentioned above and to be mentioned in our subsequent article in the series, may change ranking as and when official regulatory frameworks are put in place. Also some may fall off the list and some may get added in, in near future. Such Regulatory changes are continuously developing and there’s no clear certainty that the any Government’s stance in the abovementioned countries can/cannot change. Note : Detailed analysis of the top 5 countries and summarised analysis of next 10 countries shall follow soon in our next articles. Watch out crypto enthusiasts !